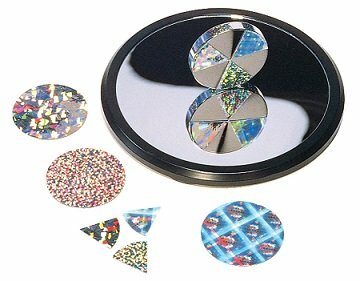 Euler's disk is a fascinating toy. When you give it an initial spin on a smooth surface, it begins spinning and rolling in a manner similar to a coin spinning and rolling on a flat surface. The only difference is that it lasts much longer! The spinning and rolling that the disk undergoes is commonly called spolling, which is a combination of spinning and rolling. It is very interesting that the disk spolls faster and faster as time goes on. As the disk loses energy due to friction and rolling resistance losses, it also loses gravitational potential energy by an equal amount. This means that the disk must gradually drop in height, which causes it to make a smaller and smaller angle with the surface. This in turn causes the disk to spoll faster and faster. This process continues until the angle with the surface becomes so small that contact with the surface is inevitable and the disk is brought to a sudden stop. The physics of euler's disk is similar to the physics of a gyroscope. As the disk spolls, a gyroscopic force is created which holds the disk up. As the disk loses energy the gyroscopic force becomes weaker until the disk eventually comes to a complete stop on the surface.